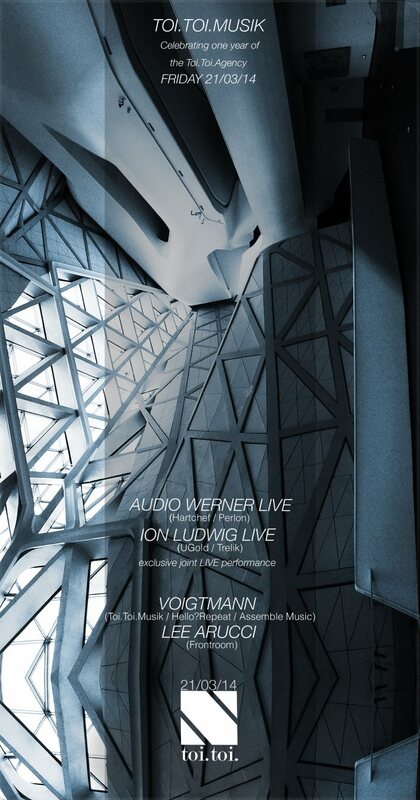 The Toi.Toi.Agency celebrates one year and for the occasion we decided to ask Audio Werner & Ion Ludwig whether they would like to do a LIVE together. They accepted it and are spending an extensive amount of time in the studio together to prepare for it. They performed at Hoppetosse/CDV in Berlin late February for our Toi Toi Musik there, a set of 3 hours with a set up and performance that left many jaws dropped, outstanding. Looking forward to showcasing it in London now. We also welcome our family member Lee Arucci for his first solo appearance at Toi Toi Musik!